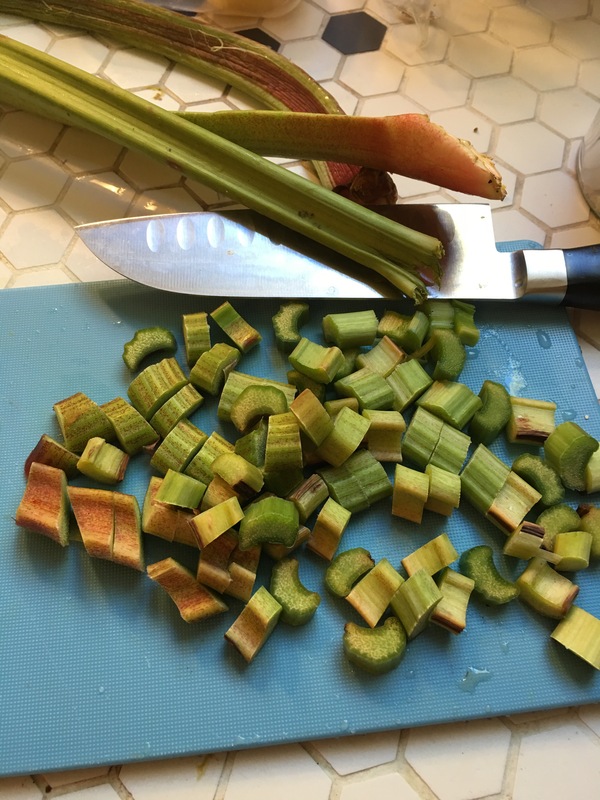 Despite growing up in the northeast, I had never tried rhubarb until I signed up for a CSA box in San Francisco. I had no idea what to do with it, so defaulted to strawberry rhubarb pie. 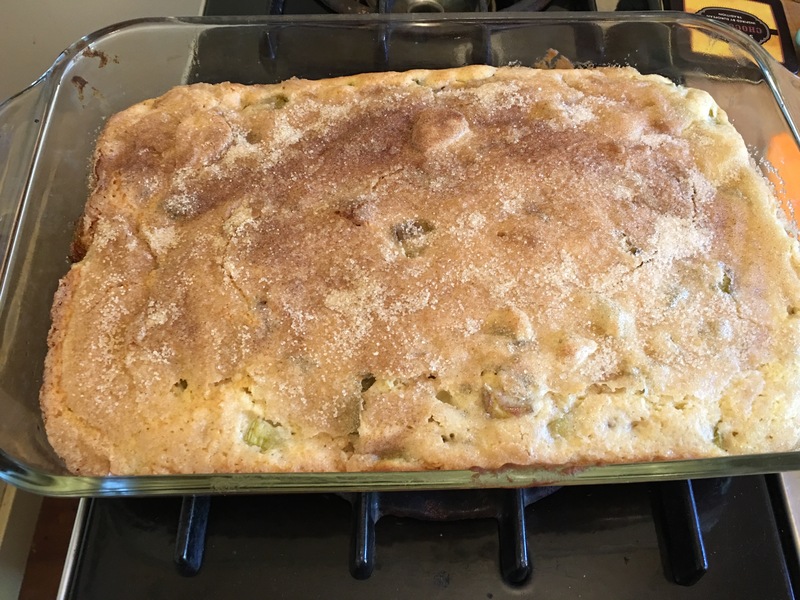 Rhubarb and I have come so far together since then… I’ve stewed it, made crumbles, galettes, but my very favorite thing to do with rhubarb is this cake. It sort of counts as breakfast, or snack, as it isn’t overly sweet. But it is a hit with the whole family!